Filmed over 12 years (with only 36 actual shooting days), Boyhood is Austin filmmaker Richard Linklater&apos;s intimate epic about adolescence. The film, which Linklater began production in Austin in 2002, debuted to a standing ovation at this year&apos;s Sundance Film Festival. 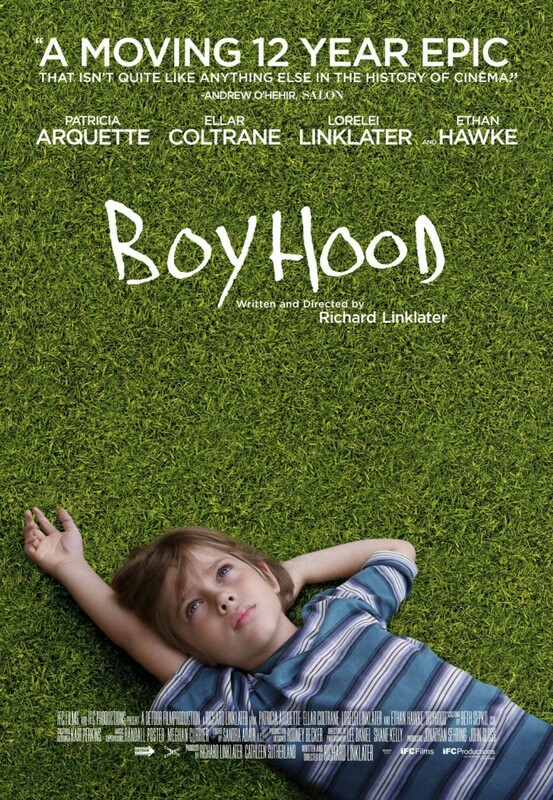 Boyhood is not your average summer blockbuster, but is a movie almost everyone with a pulse can relate to; the story of life, family and the times we live in. In front of our eyes, main character Mason Jr. (Ellar Coltrane) grows from a quiet but inquisitive six year old to a philosophical 12th grader. Along the way his parents, Mason Sr. (Ethan Hawke) and Olivia (Patricia Arquette), divorce, move around Texas and start new families. We see this from Mason and his sister Samantha&apos;s (Lorelei Linklater) perspective. It&apos;s interesting to see the cultural phenomenons of the past decade come into play like texting and Harry Potter books, even more interesting is the person Mason becomes as he learns to cope with life and takes the next steps into the future. The film&apos;s 2 hour and 45 minute running time feels more like 90 minutes, and more startling are the subtle transitions from year-to-year. Check it out at a theater near you, or learn more about the Austin film scene!